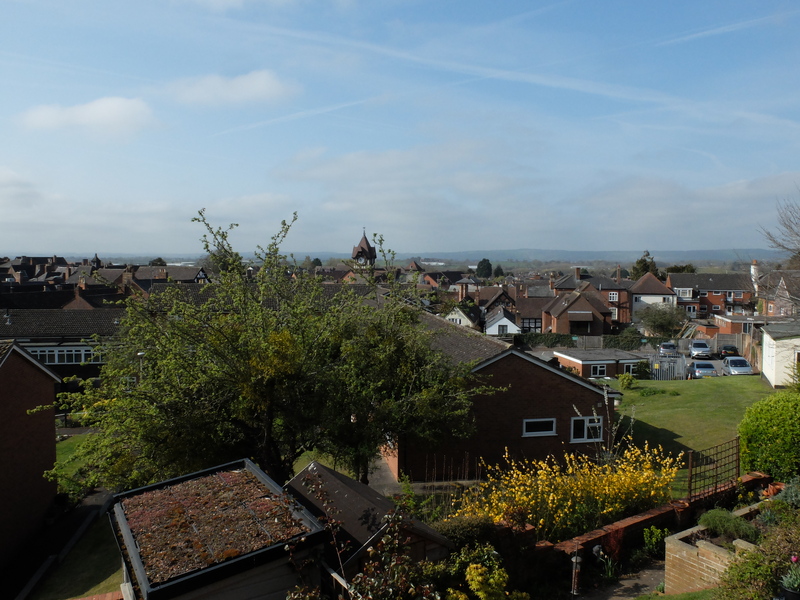 Conveniently situated for access to the town centre, Upperhall Close is a charming development of cottage style retirement properties overlooking attractive well maintained communal gardens and enjoying a fine south westerly outlook to the rear over the roof tops of Ledbury with far reaching views. 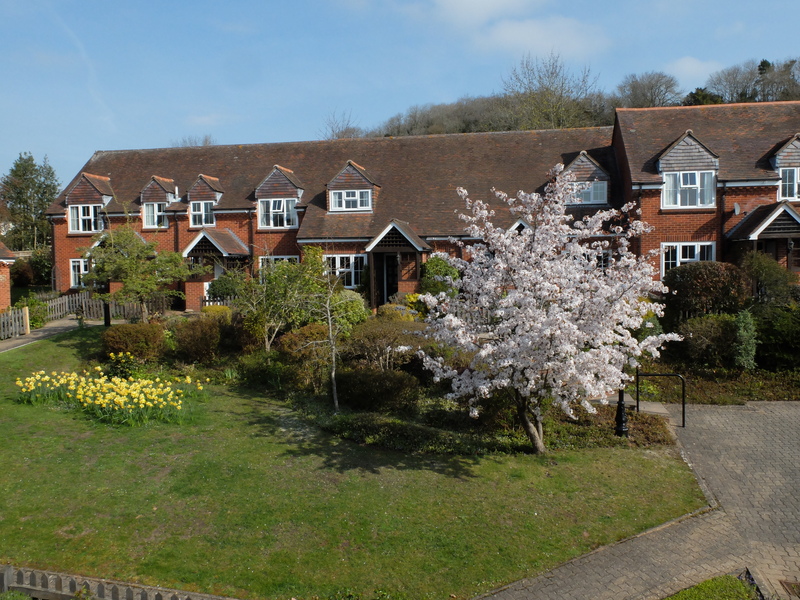 Number 7 offers spacious accommodation which benefits from gas fired central heating and double glazing. 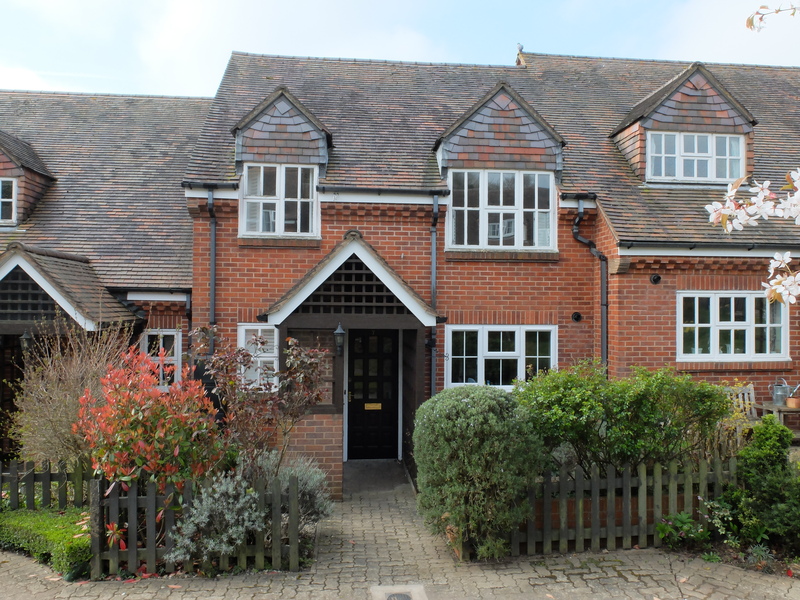 The property is arranged at ground floor level with a canopy porch, reception hall, refitted cloakroom with Wc, a refitted kitchen, sitting room and a dining room. 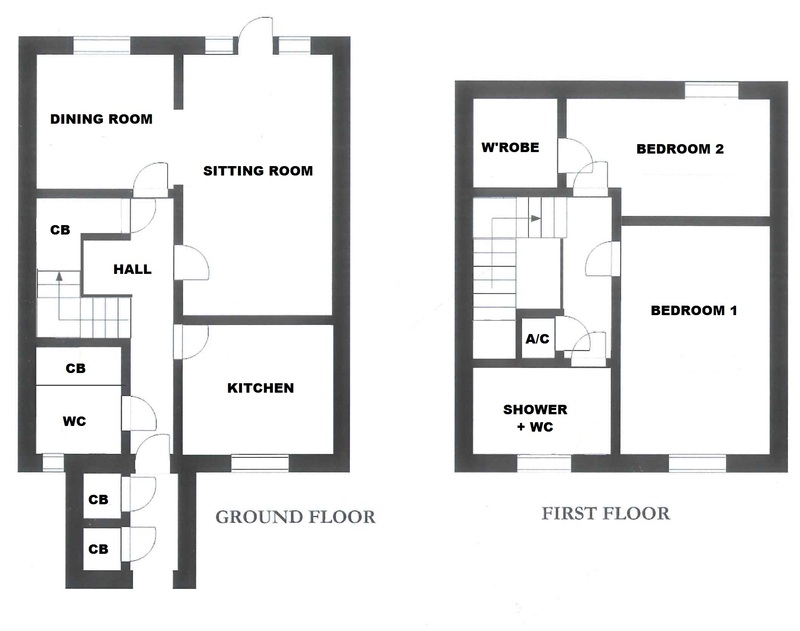 On the first floor the landing gives access to two bedrooms and a refitted shower room with Wc. 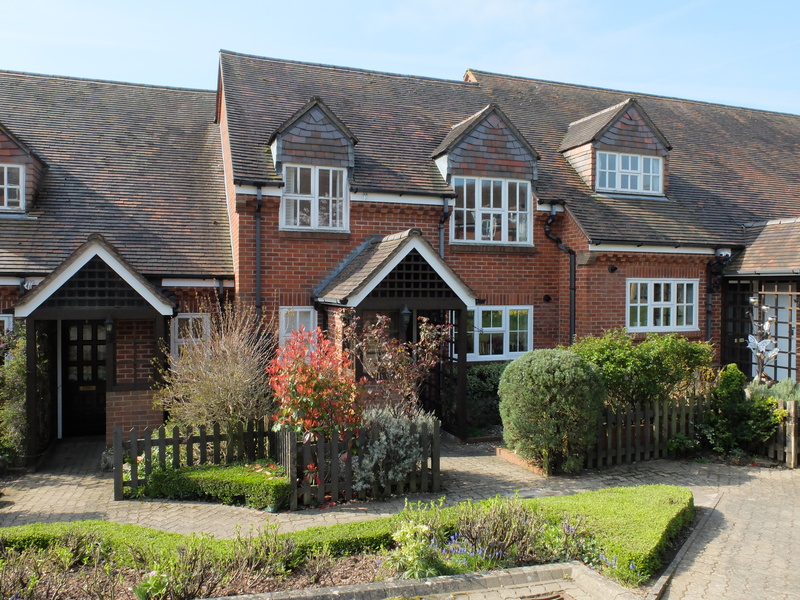 The property has a pleasant area of garden to both front and rear and there is a car park at the entrance to the development. With outside light. Useful store cupboard with meters and cold water tap. Bin store. With single radiator. Wide staircase to first floor. Large built-in understairs cupboard. 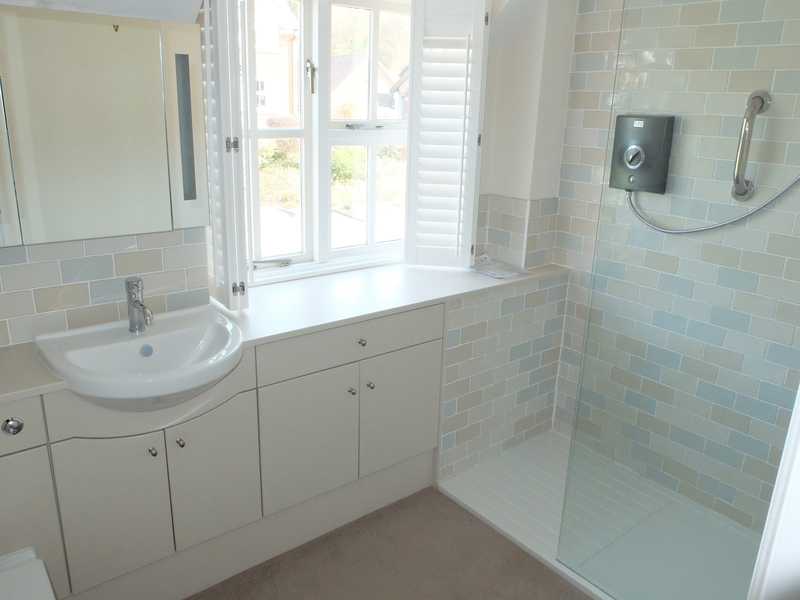 Refitted with a contemporary white suite comprising an inset wash basin with cupboards under and a WC. Wall cabinet with illuminated mirrored door. Fitted towel rail. Single radiator. Built-in cupboards. Plumbing for washing machine. Double glazed window to front with attractive shutters. 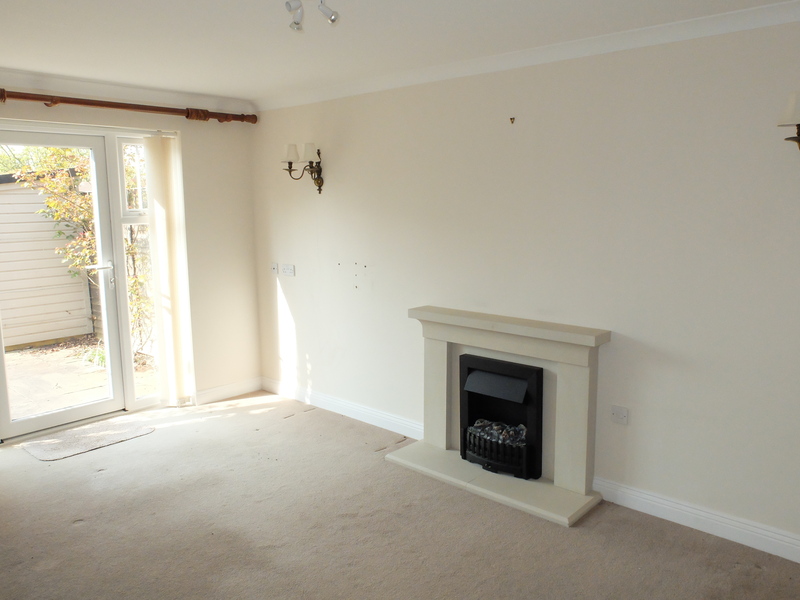 It should be noted that this room had previously been a shower room and the shower unit and necessary plumbing is still in place. 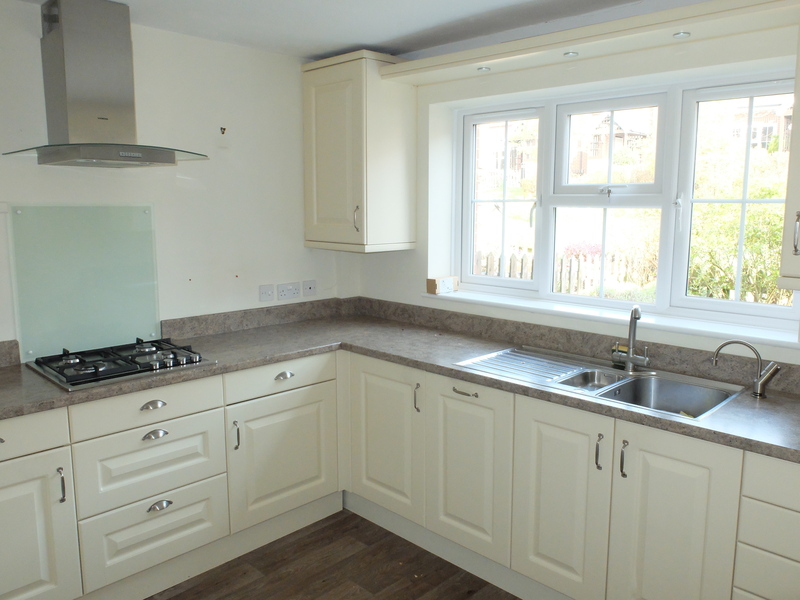 Refitted with an extensive range of modern units comprising a stainless steel 1½ bowl sink with base unit under and fitted Quooker instant boiling water tap. Further base units. Drawer packs. Work surfaces. Wall mounted cupboard. Wall cabinet with roll down door. Built-in Siemens oven and microwave. 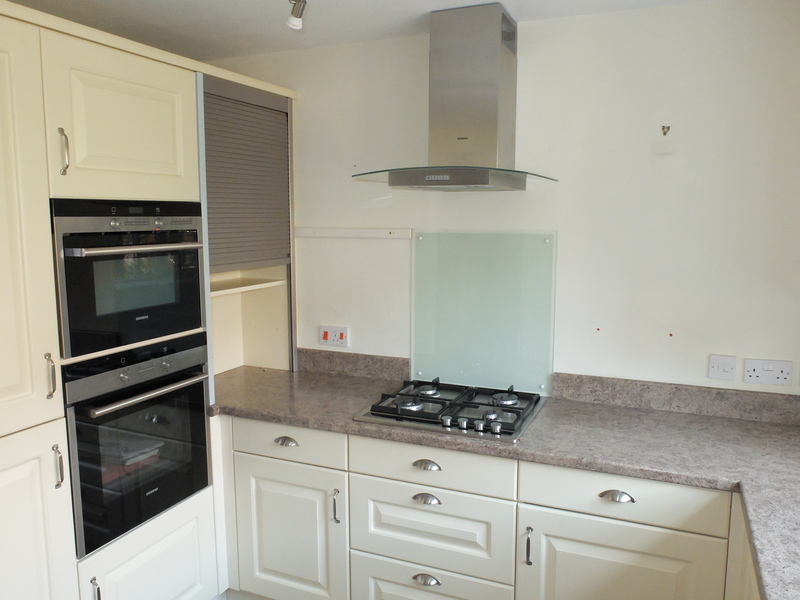 Fitted Siemens 4-ring gas hob with stainless steel chimney hood over. Integral Siemens dishwasher. Built-in fridge freezer. Matching wall cupboard housing a Worcester central heating boiler. Vertical radiator. 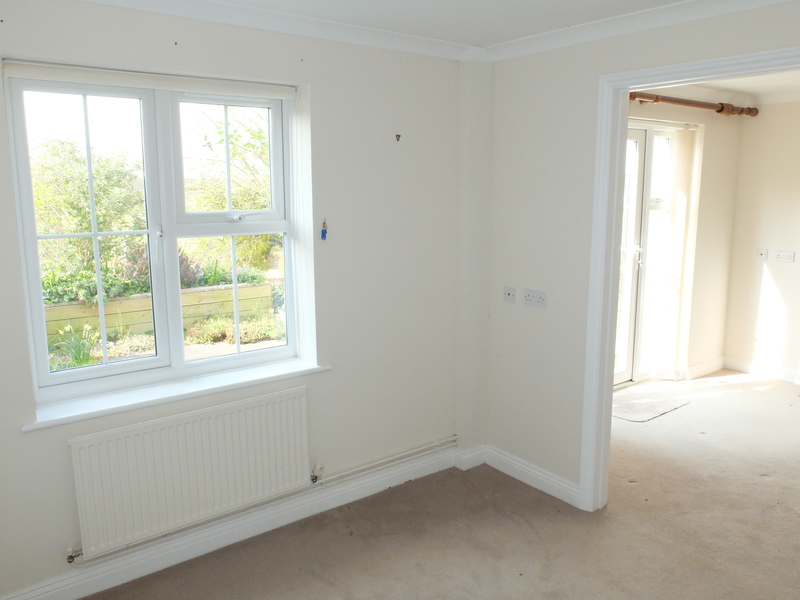 Double glazed window to front with pleasant outlook over gardens. Having a feature stone fireplace with fitted log effect electric fire. Two single radiators. TV point. Wall mounted shelving unit. Coving. Opening through to dining room. Double glazed door to rear garden. With single radiator. TV point. Coving. Separate door from hall. Double glazed window to rear. With airing cupboard. 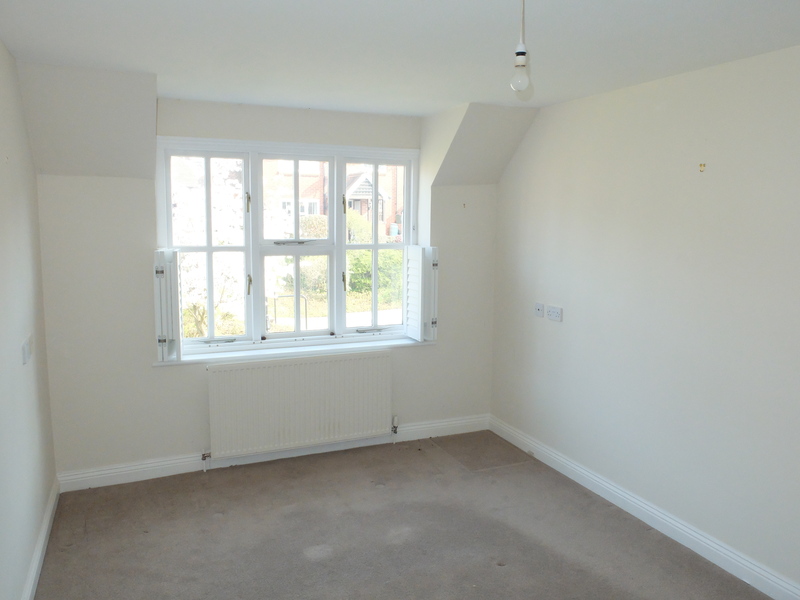 Access to extensively boarded roof space. With TV and telephone points. Single radiator. Double glazed window to front enjoying a fine outlook over the communal gardens and having attractive fitted half-height folding shutters. With TV point. Single radiator. 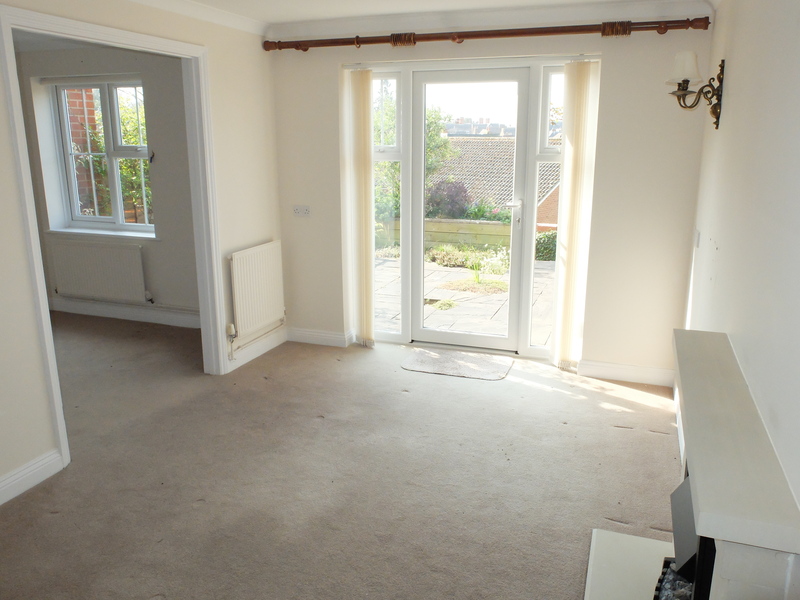 Double glazed window to rear enjoying an elevated outlook over the town with fine far reaching south westerly views. 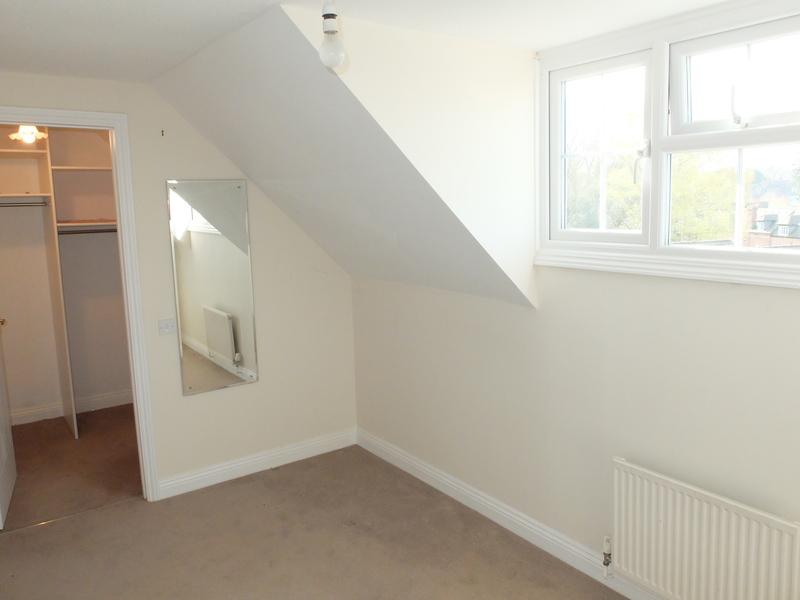 Useful large walk-in wardrobe /box room off with access to eaves roof space. 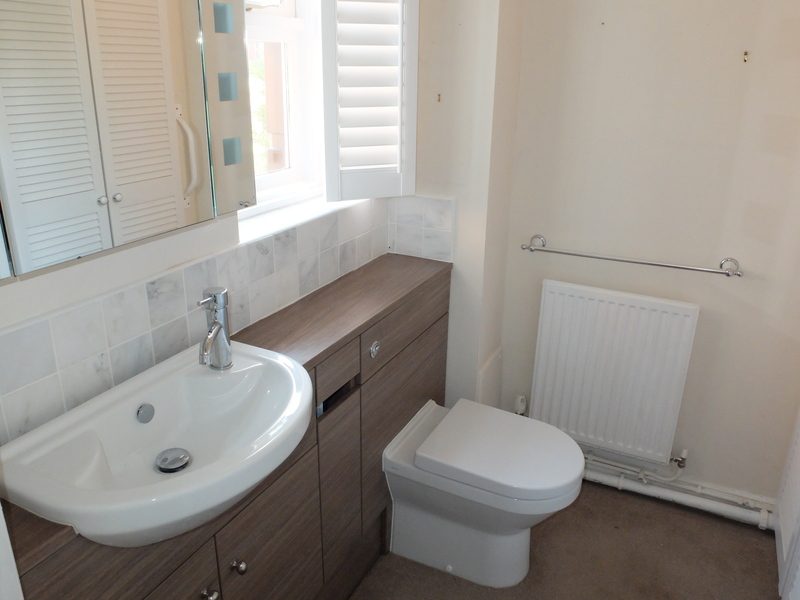 Refitted with an attractive contemporary white suite comprising a large walk-in shower cubicle with tiled surrounds, inset wash basin with cupboards under and vanity top and a low level WC. Wall cabinet with illuminated mirrored door. Wall mounted cupboard. Ladder radiator. Double glazed window to rear with fine elevated outlook and fitted folding shutters. 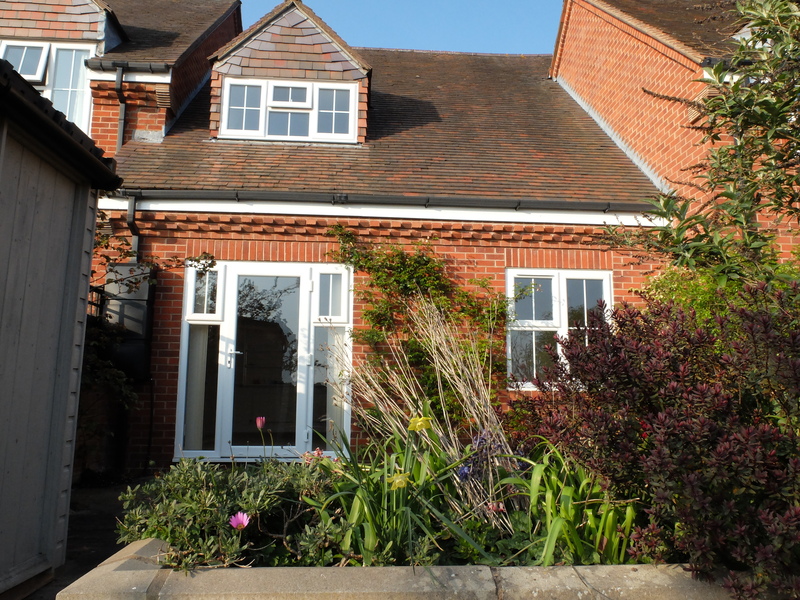 The property is approached via a communal courtyard area which is attractively arranged with a block paved terrace, lawns and well stocked with established plants and shrubs. Immediately to the front of number 7 there is its own small garden area arranged with a stone terrace, raised bed and established plants and shrubs. 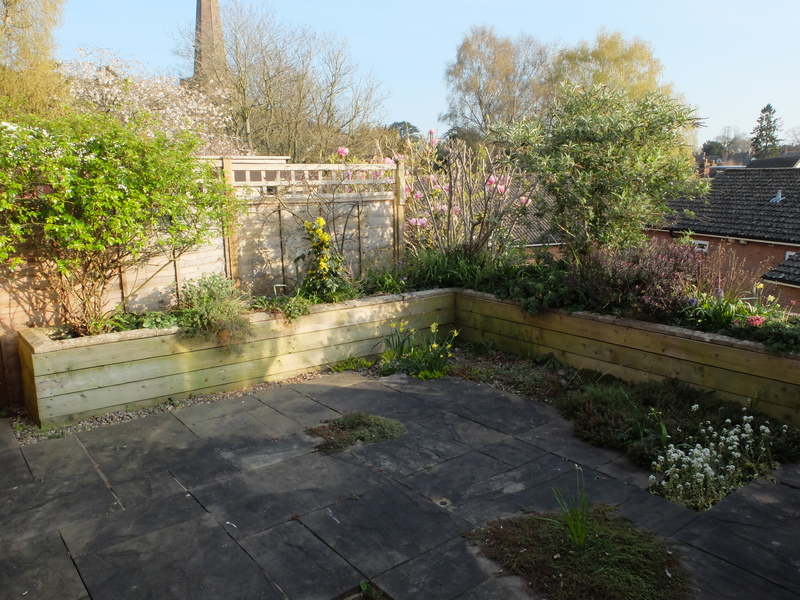 To the rear of the property there is an attractive terraced garden enjoying a very pleasant elevated outlook and being arranged with a flagstone patio, raised beds and further established plants and shrubs. There is a garden shed and shared rear pedestrian access. There is a car park at the entrance to the development. 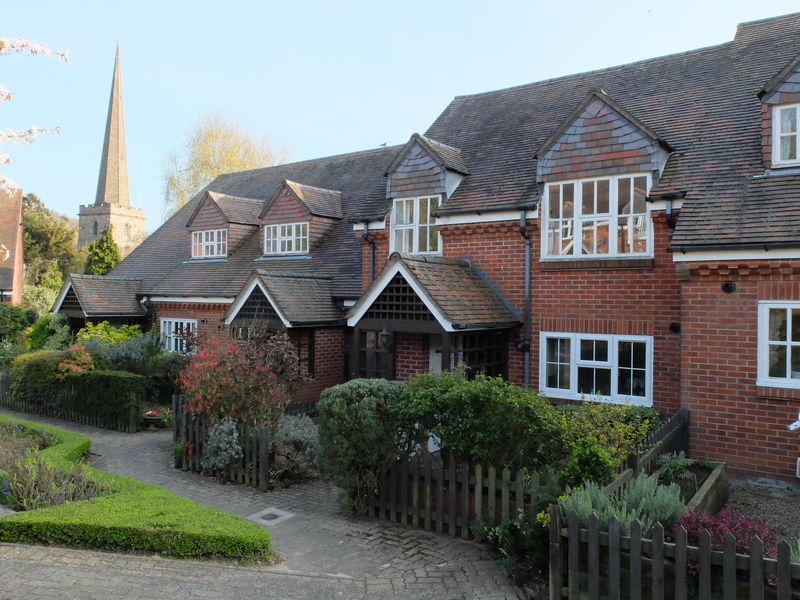 We are advised subject to legal verification that the property is Leasehold with a 999 year lease which commenced in 1987. It should be noted that it is a condition of the lease that any persons wishing to take up residence must be of retirement age (normally 60 years and above). There is also a service charge currently believed to be £156.96 per calendar month. 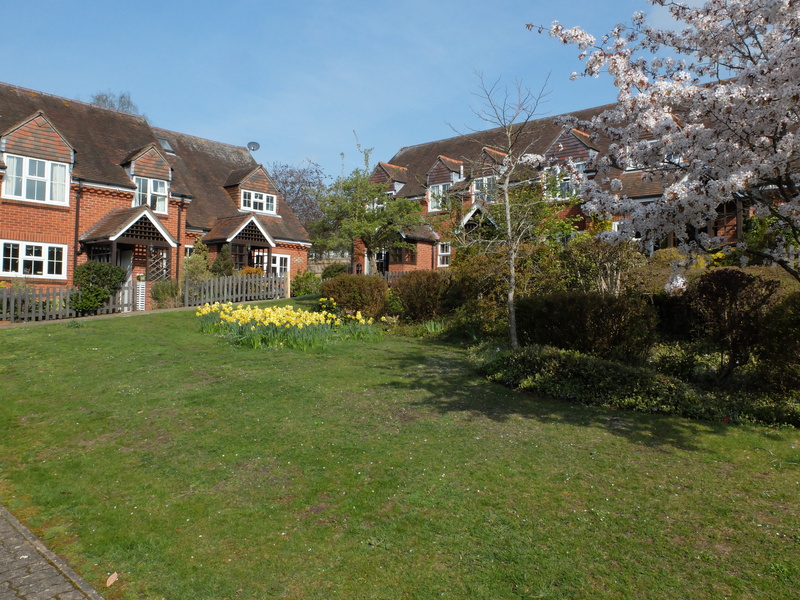 This charge is understood to be reviewed annually and covers the cost of communal gardening, buildings insurance, external repair, maintenance and decoration and the operation of the emergency call system and the services of a non resident warden. Additionally the purchaser will be responsible for payment of a contribution to the landlords sinking fund for items of major expenditure. This contribution is payable at the rate of 0.65% of the purchase price paid by the purchaser to the seller and the contribution is payable each year of the ownership. The purchaser will have the option of either paying this each year or deferring payment until such time as the property is re-sold. 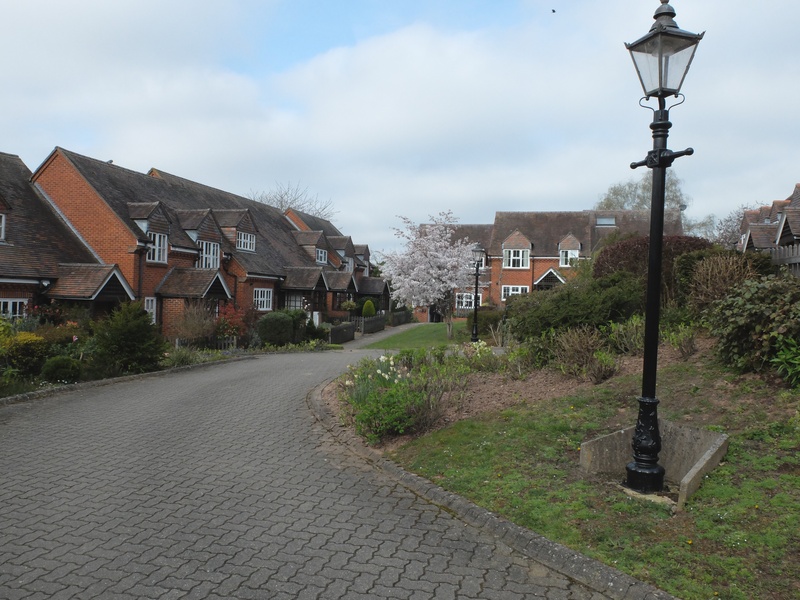 From the agents Ledbury office turn left at the traffic lights and proceed along the High Street. Turn right behind the Market House into Church Street and follow the road up the hill and Upperhall Close will be found on the left hand side.